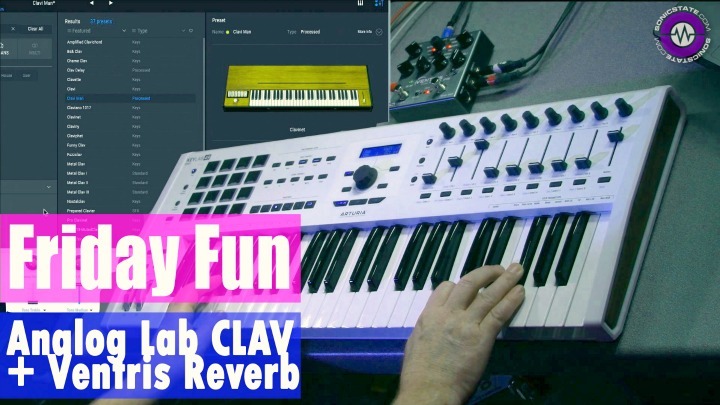 Cubasis is Steinberg's sequencer app that strongly gravitates toward its desktop equivalent, the Cubase music production system, providing the same look and feel as well as project compatibility for easy import to Cubase. 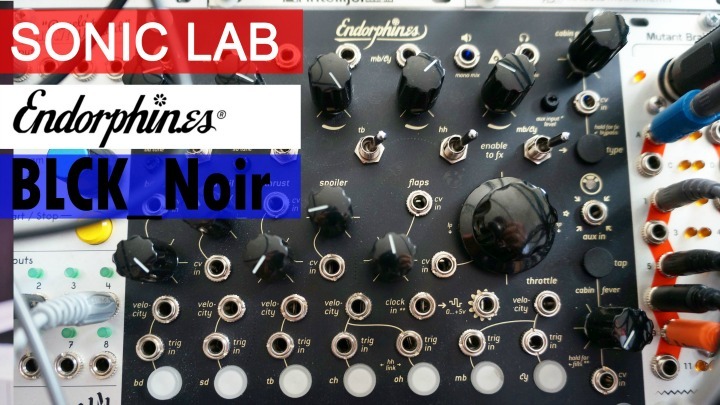 Essentially, Cubasis provides all the required tools to arrange, mix and edit music productions, including many effects and hundreds of instrument sounds. The latest version of Cubasis comes with a unique feature addition. Debuting on the iOS platform, Waves is celebrating its 25th anniversary by providing its AudioTrack Channel Strip, the L1 Ultramaximizer and Q10 Equalizer as in-app purchases exclusively available to Cubasis. Each effect can be purchased individually or together as a bundle. 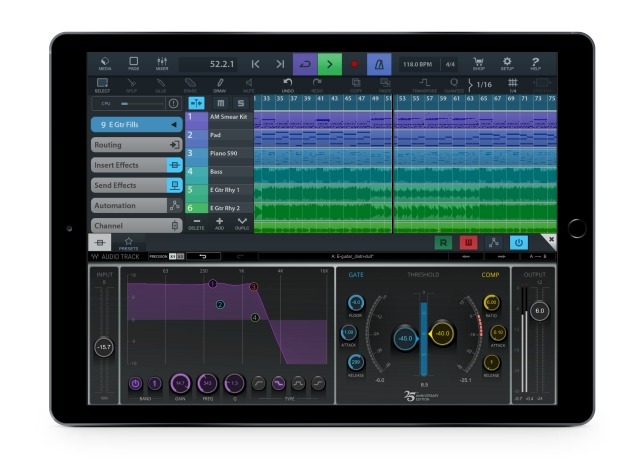 Mick Olesh, Waves EVP of Sales & Marketing, comments, "We are delighted to join forces with Steinberg, providing iPad users with Cubasis, along with access to our plug-ins and studio-quality mixing tools, to help users polish tracks with professional sound within iOS-compatible music software. Waves' availability for iOS is in line with our belief in open platforms, which goes hand in hand with our continual objective to faithfully serve all users, regardless of hosts, pro audio field or genres." Cubasis 2.3 now supports Audio Unit automation, allowing users to automate parameter changes of Audio Unit instruments and effects. What's more, Audio Unit user presets can now be saved and loaded. Staying with presets: saving and loading presets is also possible with Cubasis' very own effects. On top of this user-requested feature: version 2.3 comprises a massive library of over 200 factory effect presets, crafted by veteran producer Allen Morgan. Finally, Cubasis 2.3 boasts more than 70 dedicated factory presets for the effects processors of its FX Pack IAPs. Steinberg's Team Lead & Product Planning Manager Lars Slowak comments: "It's always a fun challenge to do better than with the previous release of Cubasis, but I think our great team has done just that. We've come up with many improvements and user-requested features. And the absolute apex is that our friends at Waves have come on board with three of their highly acclaimed effects, available to the iPad for the very first time. "We are so excited about this opportunity with Waves, a highly respected company in the music industry. Together, both Cubasis and the Waves effects for the iPad complement themselves perfectly and provide a complete and professional solution for producing music." Cubasis 2.3 is available as download through the App Store. The price is 54.99 euros including German VAT. Existing Cubasis 2 customers are eligible for a free update to 2.3. The Cubasis LE 2.3 Full Feature Set IAP is available within Cubasis LE 2.3 for 32.99 euros including German VAT. The Waves IAPs are available for each 8.99 euros including German VAT. The Waves IAP Plug-in Bundle is available for 21.99 euros including German VAT. The FX Pack IAPs are accessible through Cubasis 2.3 and Cubasis LE 2.3 for each 7.99 euros including German VAT. For the next two weeks, Steinberg is offering discounts on both Cubasis 2.3 and the FX Pack IAPs, ending on December 5, 2017.